I took an adult ed art class in 1981 and, after a few classes, decided to paint a portrait of my mother. I was so proud of that portrait - my first one. My mother hung it on her wall and it was there for years. 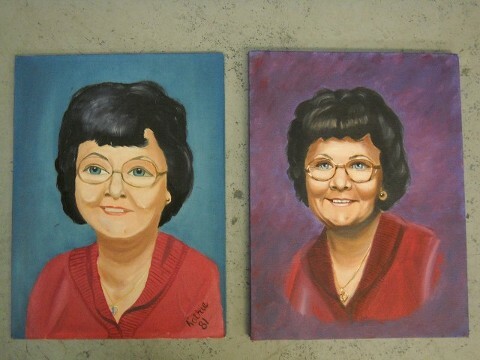 In 2010, my mom passed away and my sister told me she had found the portrait I painted years ago. I of course wanted it back - my first portrait. Well, when she gave it to me I thought OMG, it's not good at all! So, instead of throwing it away, I repainted it using the techniques learned from Valerie Stewart and I'm posting both the before (1981) and the after (2011) picture. I hope this inspires some of my students who always say, "my portraits don't look as good as yours". Well, my first painting didn't look that good either. See what learning the correct method of portrait painting and practice, practice, practice does for your portraits. Kathie is a Certified Valerie Stewart Portrait Instructor. Sign up for one of her portrait workshops on the Portrait Workshop Page. 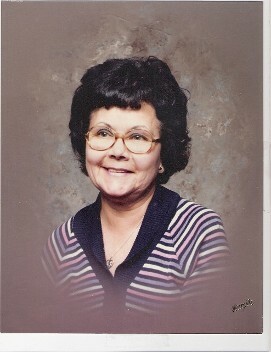 Here is the photo that I used to paint the portrait of my Mom. I used my artistic license to change the color of her sweater, as she always loved to wear red. 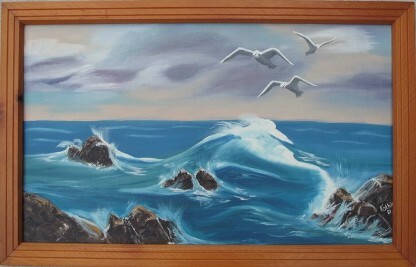 I also started painting oil seascapes in 1981. This was a Bob Ross seascape class. I was so proud of this painting and had it hanging on my wall for a long time. I took a long time off from painting to work and raise my family, but then I started again. I practiced and practiced and took classes from other artists who painted seascapes including Joyce Ortner, a famous California International Seascape Artist. This second painting was done about 27 years after the first one. Again, as I tell my students over and over, see how much better you get with practice. Keep painting and practicing. You will see a difference. 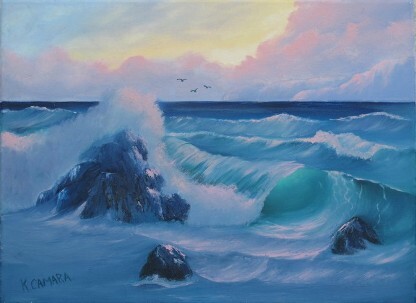 Kathie is a Certified International Joyce Ortner Seascape Instructor. Sign up for one of her seascape workshops on the Seascape Workshops page.